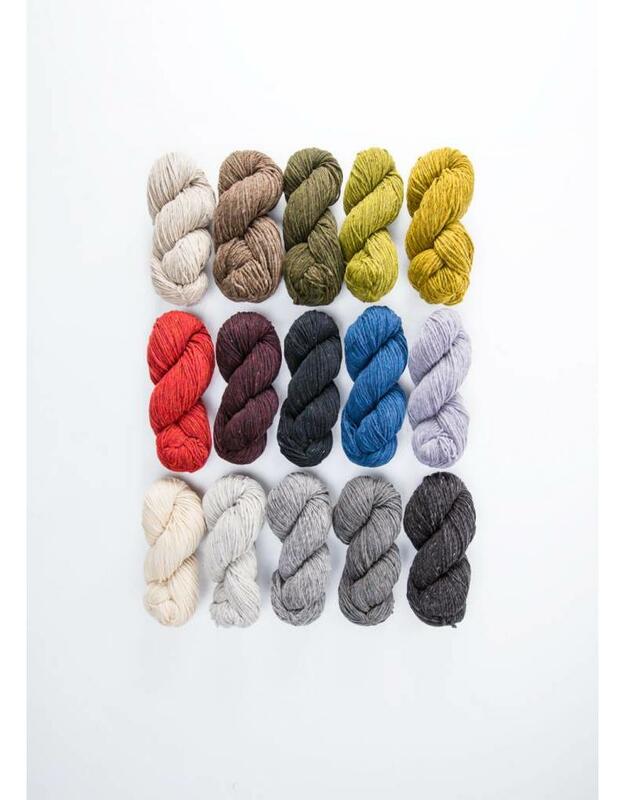 Quarry is a chunky brother to Shelter and Loft inspired by roving-style “unspun” yarns, offered in pillowy 100-gram skeins. The yarn begins with three strands of the same lofty, woolen-spun Targhee-Columbia fleece, but rather than twisting the individual plies we nestle them together and gently spin the whole trio. The result is a plump yarn that looks like a single ply and has greater tensile strength and stitch definition than a true unspun yarn. Quarry has a soft and rustic hand; since we never subject our wool to harsh chemical scouring, you’ll find the occasional fleck of vegetable matter that remains as evidence of the sheep’s life on the Wyoming rangeland. 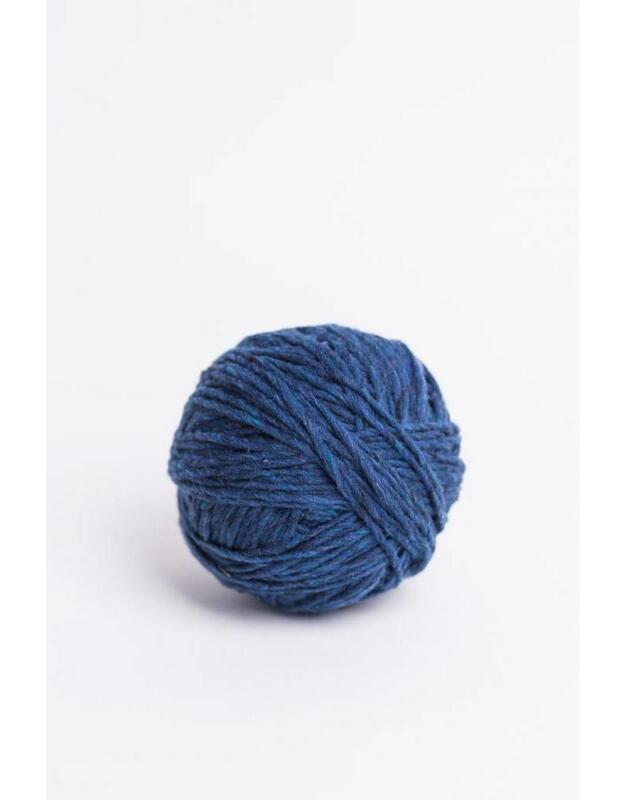 The yarn’s one-directional twist may cause it to twirl between the needles and the ball while you’re knitting, but the fabric will be well balanced with no biasing. Quarry knits will bloom to become cohesive and supple after a wet blocking. You shouldn’t notice any change in gauge. 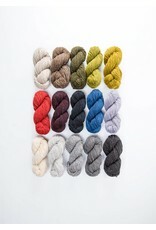 This yarn loves to cable and beautifully renders all kinds of textural stitch work. Despite its soft structure, it can be worked at looser gauges without loss of integrity to the fabric. We think it’s ideal for sweaters, coats, blankets, and cozy accessories. 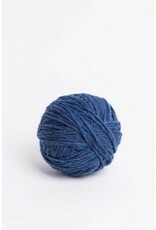 Knitting Gauge: 12 - 14 sts per 10 cm or 4"